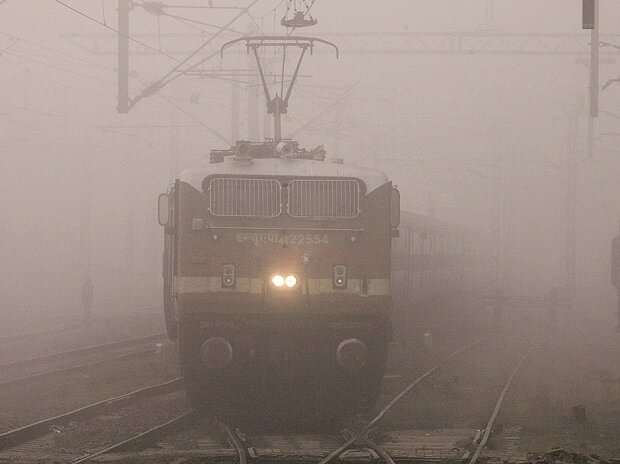 Cold wave continues to grip the northern parts of India even as foggy conditions led to 156 trains being cancelled. Dense fog and low visibility in the early morning hours of Tuesday also hampered train and flight schedules. Most of the affected trains, including Sultanpur-Lokmanyatilak Superfast Express, were running late by at least two to three hours due to very low visibility as per Indian Railways website. In Delhi, the minimum temperature is recorded at 7 degrees Celsius, a notch above normal. The humidity level was 76 per cent. 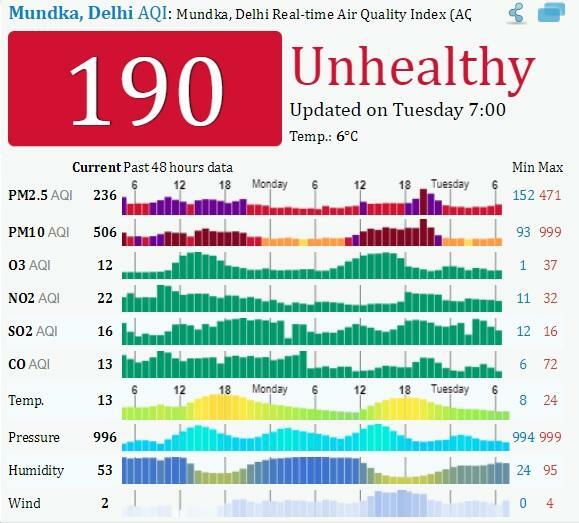 Furthermore, air quality in the national capital remained in 'very poor' category with major pollutants PM 10 at 506 and PM 2.5 at 236, according to the Delhi Air Pollution: Real-time Air Quality Index (AQI). According to System of Air Quality and Weather Forecasting And Research (SAFAR), the overall Air Quality Index (AQI) was recorded at 283 till 9:45 am, which falls in the 'poor' category. AQI in the range of 51 to 100 is considered as satisfactory, 101-200 is moderate, 201-300 falls under the category of poor, 300-400 is considered 'very poor' and 401-500 falls under the 'hazardous' category. The India Meteorological Department (IMD) has predicted rainfall starting January 20. In addition to the extreme weather conditions, air quality continued to remain poor. Several flights are also expected to be delayed due to dense fog. Travellers should check the status of their flight through apps to keep a tab. Airlines have forewarned passengers of likely delays. Today, SpiceJet has put out an alert message on Twitter on affected flights. Departures, arrivals and consequential flights might get affected in Jabalpur as well due to bad weather. Moreover, low visibility conditions could affect departures and arrivals in Delhi, Varanasi, Bengaluru, and Patna, tweeted Spicejet. #WeatherUpdate Due to bad weather at Jabalpur (JLR), all departures/arrivals and their consequential flights might get affected. The passengers are requested to keep a check on their flight status via https://t.co/iQhxtfDb6b.